Reyna Askew of Grid Alternatives discusses the solar system with Chris Helmers of NeighborWorks America. 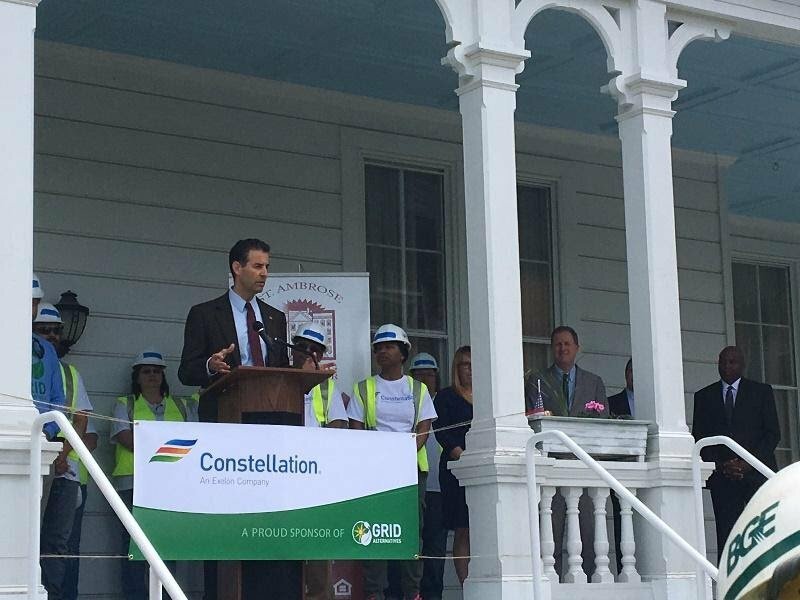 Congressman John Sarbanes praised St. Ambrose for the development and preservation of Aigburth Vale over the last two decades and discussed how the partnership that enabled the solar panel installation at Aigburth Vale should be used as a model in communities across the country to help further the impact of solar energy. 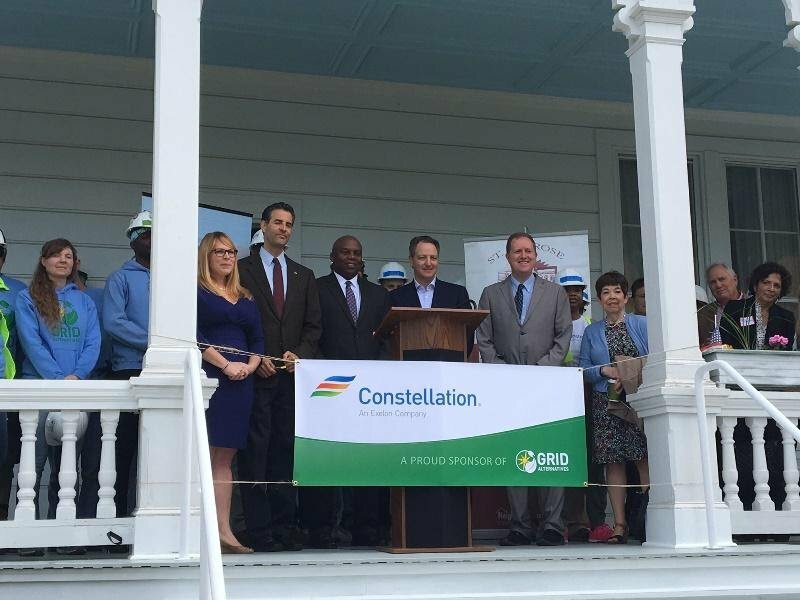 left to right: Constellation Energy Volunteers; Nicole Steele, Executive Director of Grid Alternatives Mid-Atlantic; Congressman John Sarbanes, member of the House Energy and Commerce committee; Gerard Joab, Executive Director of St. Ambrose; Gary Fromer, Senior VP of Distributed Energy at Constellation Energy; Councilman David Marks; Jane Wilson, St. Ambrose Board member. 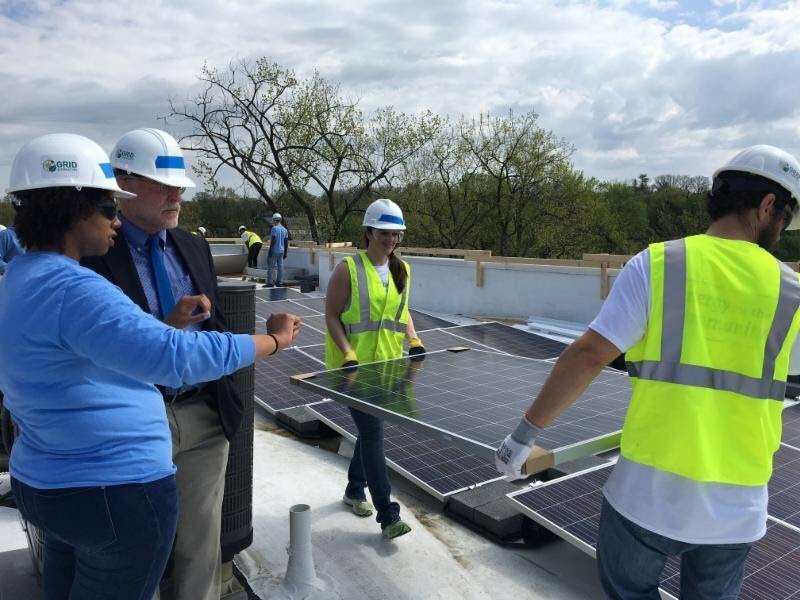 Grid Alternatives Mid-Atlantic, a non-profit organization that makes solar power and job training accessible to under-served communities, and volunteers from Constellation Energy installed a 90kw cost-saving solar energy system at Aigburth Vale on Thursday, April 20th. 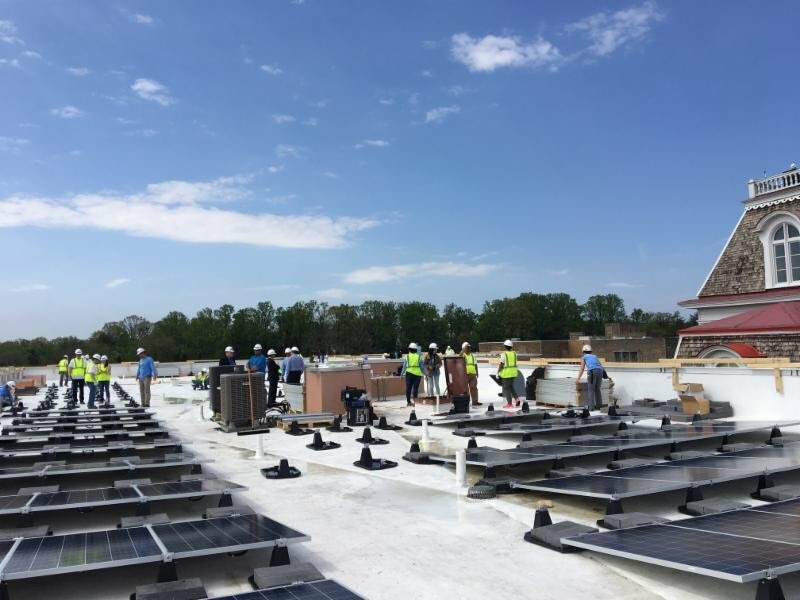 The solar system will offset common area energy usage and is expected to result in about $15,000 of savings on electrical bills annually. 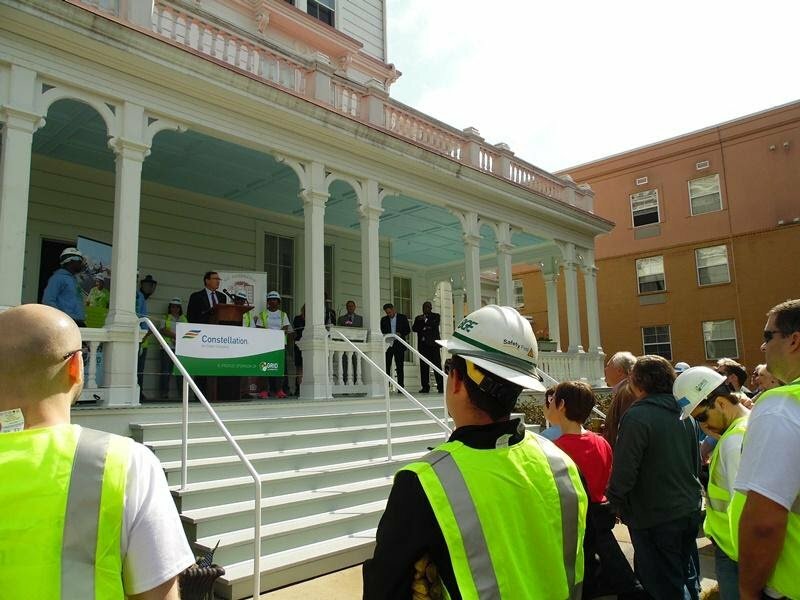 The savings will help fund ongoing renovations to the building to improve handicap accessibility, energy efficiency, and preserve the affordability of the building for the future. The solar energy system is expected to prevent 2,347 tons of greenhouse gas emissions from entering the atmosphere over the next 25 years, and is the equivalent to planting over 50,000 trees. 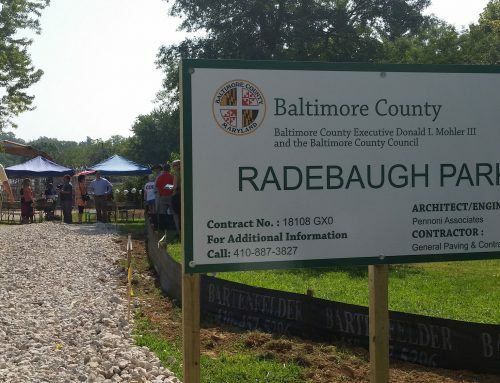 St. Ambrose Housing Aid Center, owner and operator of Aigburth Vale, is undertaking a renovation of the interior of the facility.